Give the gift of faith, family & fun! Share Living Scriptures Streaming with your friends and family. Choose between 2, 12, and 36 month gift subscriptions starting at only $20! 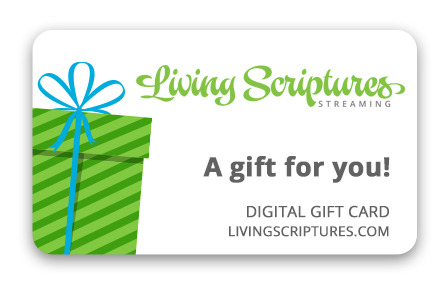 It’s easy to give a Living Scriptures membership to your loved ones! They’ll have access to over 800 uplifting family titles including movies, shows, audio stories, PLUS family home evening lessons, quizzes, coloring pages and more. With new content added weekly, this gift keeps getting more valuable! Give the gift of uplifting media anytime, anywhere. $	275 stream for 3 years! The recipients will receive an email with a gift code to redeem. You will be charged at the time of purchase, recipient account is credited upon redemption. Applicable to new and existing accounts.